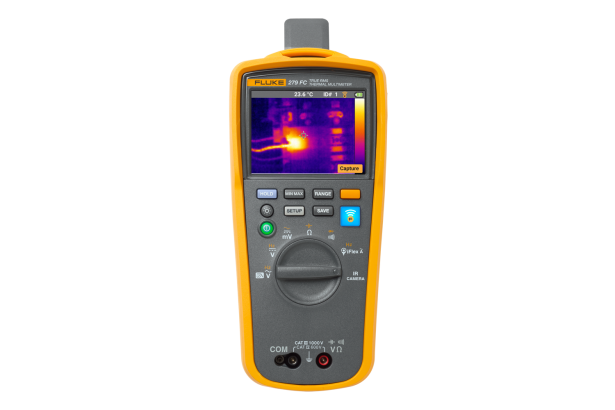 Fluke 279 FC True-rms Thermal Multimeter is rated 5.0 out of 5 by 9. Rated 5 out of 5 by Big Dave from Better Than Expeted After comparing the specs on the Fluke 279 and Flir DM284 I bought the Flir because the image quality was 2X better. After receiving the Flir I was disapointed with the image quality. I bought the Fluke. After getting it i compared the image quality of both side by side and the Fluke kills the Flir. The Flir's picture is grainy and not sharp. It has a lot of noise. The Fluke is clear, little noise and if you didn't know ou would think the Fluke had 2X the resolution. The Flir does have some nice MM functions but the Fluke has all you need. Also the Flir has a battery that you need to unscrew 4 bolts to change the battery. Rated 5 out of 5 by GearedSolutions from The Best Tool In My Bag I love this tools, it is literally 5 tools in one and bring unique insight to your issues. Well worth the price!! Rated 5 out of 5 by WireBiter43 from Great meter! The IR feature saves time! The features on this meter are great. The best part is the IR feature. It saves a lot of time during the work day by preventing trips back to the shop to get the stand-alone IR camera. 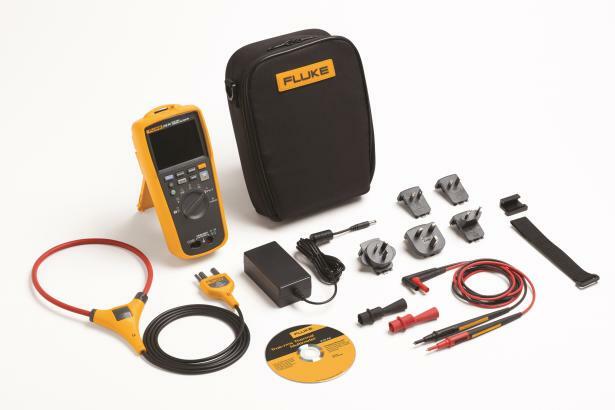 Fluke has got a great product! Just need to convince my boss to buy several more! Rated 5 out of 5 by TeraMachines from The Best Tool In My Bag I religiously take this item with me to work because it is such a life saver. It will also save room in your back because you are combining many different tools. It is a bit pricey, but worth the money!! You will not regret this purchase!! I work in data centers and this thing saves me time daily because i can quickly see my hot spots and check voltages to problem areas. Rated 5 out of 5 by Kevo from Best investment we've made in a while. Thermal imaging with the I Flex clamp.......what more do I need to say? Oh yes, its compatible with Fluke Connect. First time we used it we found 2 loose lugs. Rated 5 out of 5 by Kevin from love this meter This is a great meter but when you add the iflex and thermal imaging this thing is awesome! Love it! Rated 5 out of 5 by Saurus2 from It's a great investment I bought this with high expectations. And it hasn't let me down. It is quick and very versatile. I use it to find hot spots in the electrical panels and overheating bearings in electric motors. With the amp hoop it's a great tool. Rated 5 out of 5 by MikeC313 from Great Meter! 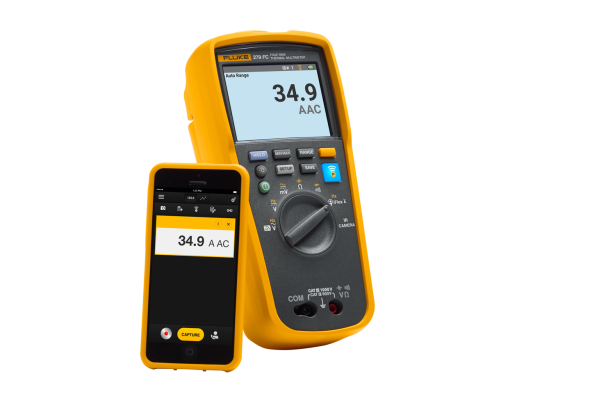 This meter has everything we need to troubleshoot our cranes in one device. My Electricians use theirs daily. 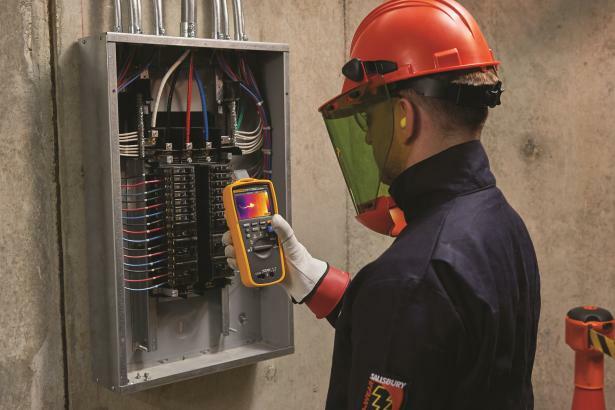 It has helped us cut down time and the IR camera makes it easy to identify hot-spots and pending failures.